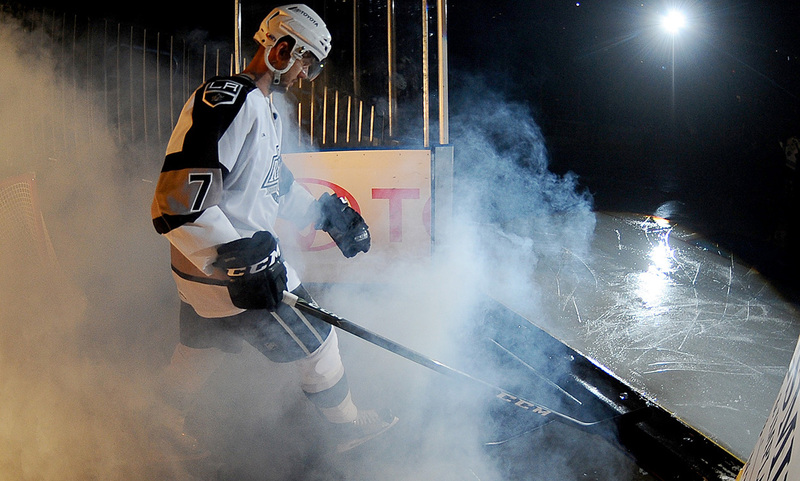 The Background: Brett Sutter is the Ontario Reign’s elder statesman with 746 career regular-season games played at the AHL level and more than 800, including 60 in the NHL, in his professional career as a whole. Sutter is the all-time active leader in AHL games played, 24 games ahead of Chris Bourque among players signed to an AHL or NHL contract for next season. Sutter has amassed 321 career AHL points (133-188-321) in his time in the league with Ontario, Iowa, Charlotte, Abbotsford and Quad City. The 2018-19 season will be Sutter’s 12th as a professional and the Viking, Alberta native has never appeared in less than 65 games in a season to date. 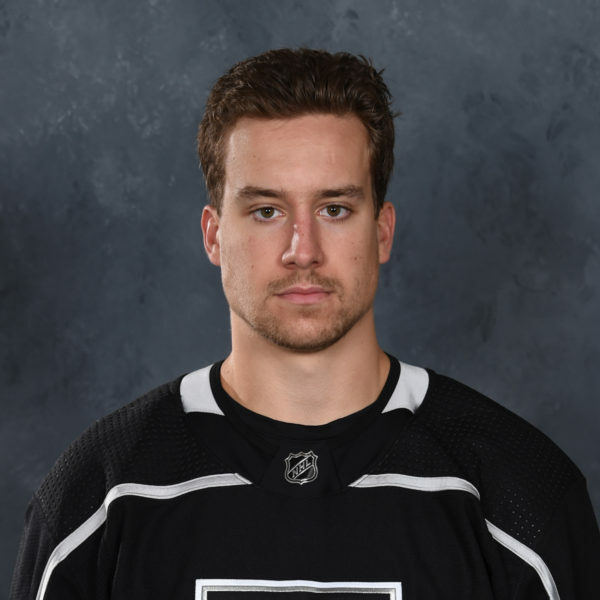 The Season: Brett Sutter signed a two-year AHL contract in the summer of 2017 to continue his stay with the Ontario Reign. 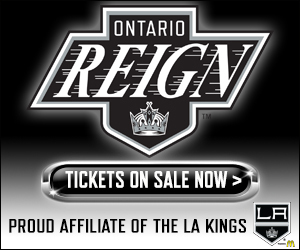 After defenseman Vincent LoVerde, who served as Ontario’s captain for its first two seasons, signed with the Toronto Maple Leafs organization, Sutter was named as the second captain in Ontario Reign history on October 5, 2017. Sutter’s captaincy marked the second time he has worn the “C” in his AHL career, following three seasons as captain of the Charlotte Checkers from 2011-14. 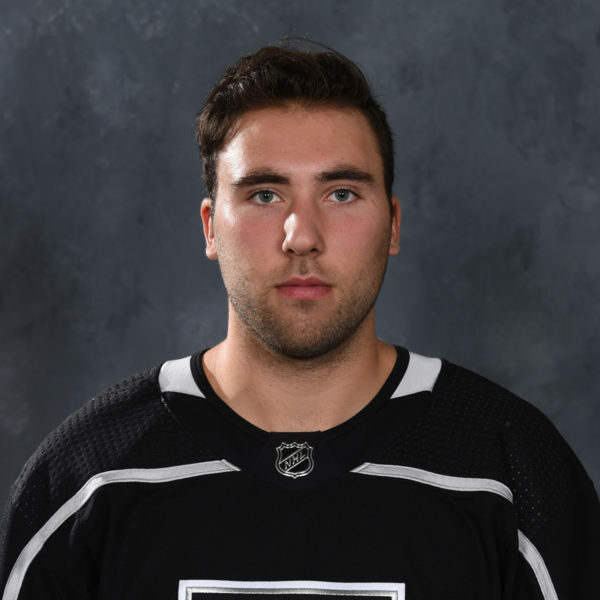 Sutter was the only Ontario skater during the 2017-18 season to appear in all 68 games for the Reign, becoming the fourth player in franchise history (Justin Auger & Sean Backman in 2015-16, Mike Amadio in 2016-17) to achieve the feat. Like the Reign, Sutter had a slower than expected start to the season with three points (3-0-3) from his first 14 games played, including his first tally of the season on October 14 against Chicago. The 6-0 center then moved on to collect a point in three straight games from 11/24 through 12/1 and five points from a five-game stretch that extended to December 5, when he collected two assists in one of five multi-point games he amassed on the season. Sutter picked up another five points from five games in January, from the 5th through the 15th, including points in three straight games from 1/12 through 1/15. In a season of milestones (see below), Sutter also had a first in his career as he was named to the AHL All-Star Classic for the first time. Sutter, along with Binghamton’s Bracken Kearns, was named as a playing captain at the annual midseason event. Sutter represented the Western Conference as a captain and the Pacific Division as a player, skating to a second-place finish in the 3-on-3 tournament. 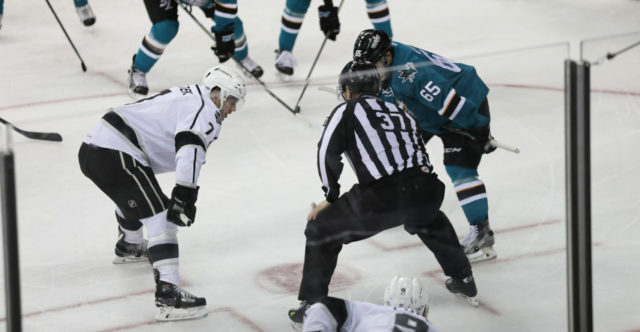 Sutter’s middle-to-end of the season was a picture of consistency with seven points in December, six points in January, seven points in February, and six points in March, accounting for 26 of his 34 points on the season as a whole. Sutter also picked up a pair of overtime game-winning goals, coming on December 15 against Stockton and March 18 against San Jose. Sutter’s 2017-18 season consisted of three career milestones, culminating with him reaching the 800-game milestone as a professional on March 31 against Cleveland. Sutter previously reached the 300-point mark in the AHL on January 6 versus Tucson and the 700-game mark in the AHL on December 13 against Texas. Sutter concluded his season by appearing in all four of the Reign’s 2018 Calder Cup Playoff games. Sutter amassed two points from the series against Texas as he collected two assists in Ontario’s Game 2 victory. 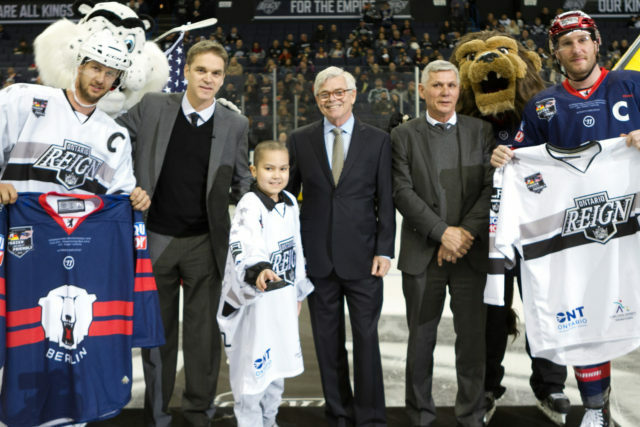 The two helpers marked the fourth multi-assist game of his professional playoff career, the first as a member of the Reign. 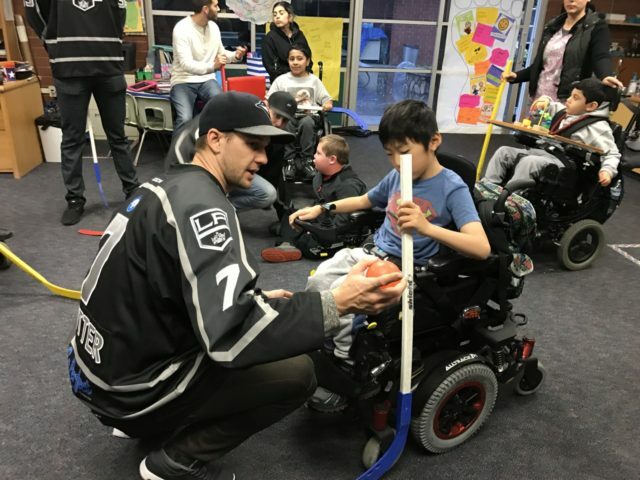 You really can’t say enough about Brett Sutter – I still have yet to hear a negative mark about him from anyone in hockey, let alone the organization. It speaks volumes that he was selected as a captain at the All-Star Classic last season and the accolades and milestones he hit are a testament to his career as a workhorse and a leader. 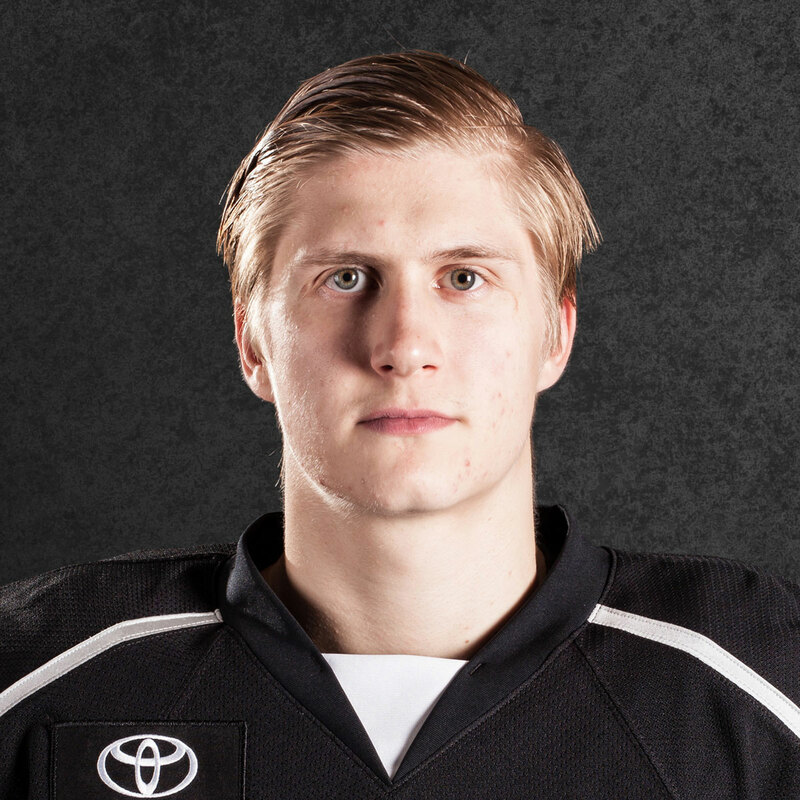 He’s one of the most pragmatic players in the AHL. If he needs to be calm, he’s calm. When it’s time to get physical and push the pace, he can do that too. From overtime game-winners to fights against guys twice his size, we’ve seen it all from the captain. Off the ice, win or lose, I’ve never seen him walk past a fan who wants a fist bump or show a negative attitude to anyone in general. He’s a consummate professional and leader and I’m looking forward to seeing him on the ice again in October. 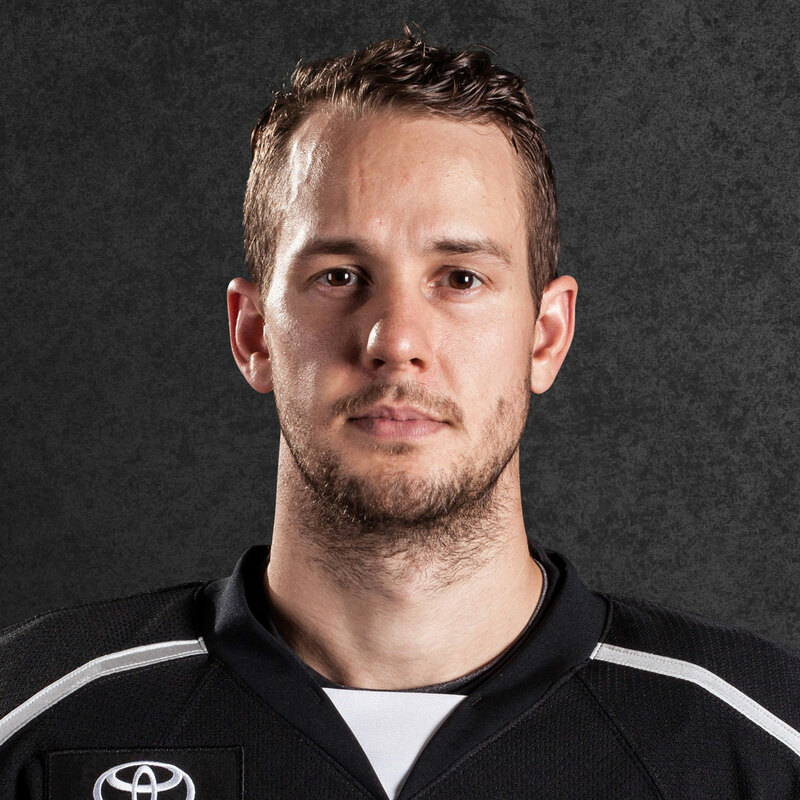 A Look Ahead: Sutter enters the second year of the two-year AHL contract he signed with Ontario in the summer of 2017. The 2018-19 season will be Sutter’s third full season as a member of the Reign and his fourth as a whole. With the departure of several veterans, Sutter’s presence will be that much more important to what figures to be a young Reign roster. Barring an injury, Sutter is on track to play in his 800th AHL game at some point during the upcoming season, another notch on his increasingly large belt. Expect Sutter to continue his leadership role with the newest edition of the Reign while also contributing his usual steady stream of offense and grit on the ice.